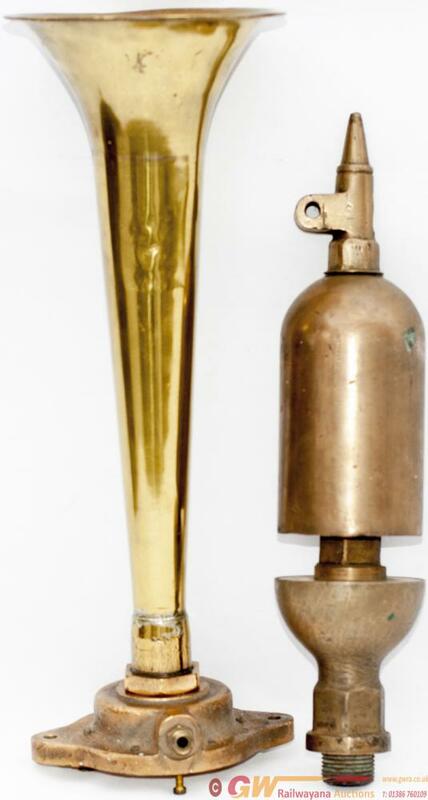 GNR(I) brass locomotive whistle, a type used on the Class S 4-4-0 locomotives, so could be from No 170 Errigal as it came from the same collection as the nameplate. Stands 15in tall. Together with a brass diesel air horn from an Irish locomotive.